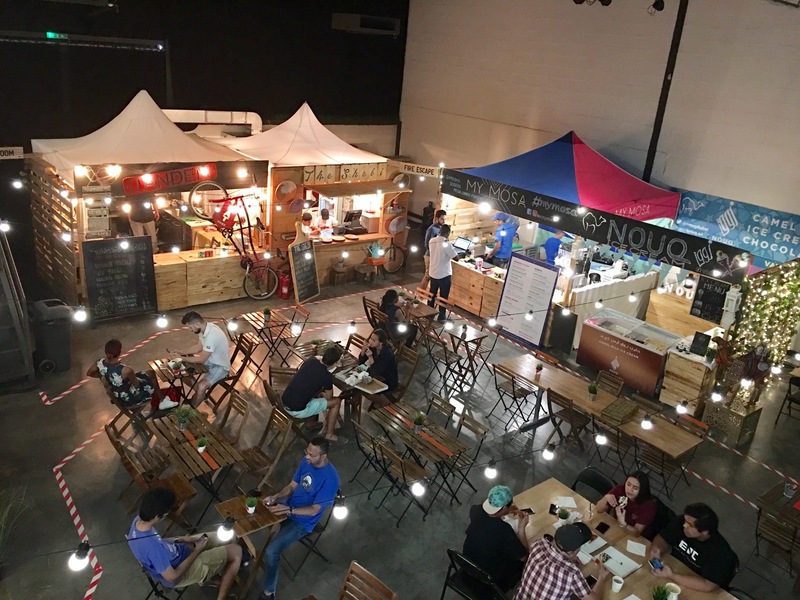 I love the alternative dining scene in Dubai, that offers various food trucks, food pop-ups and more. Just because it is summer, you don’t have to say good-bye to your favorite food pop-ups. Say hello to Hangry Hanger, the coolest foodie destination in Dubai this summer. After the huge success of last year’s event, Hangry Hanger is back with a bang, and this year’s edition is bigger and better. 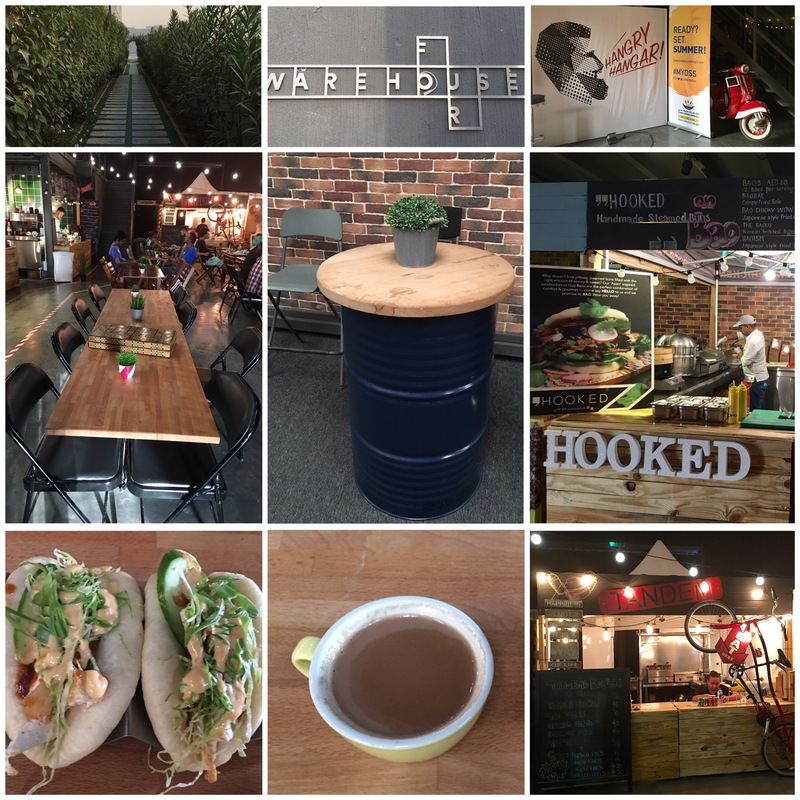 Warehouse Four in Al Qouz is the location for Hangry Hanger. Warehouse Four has a contemporary and stylish space dedicated to events and production. It has a distinct New York warehouse vibe. The Hangry Hanger event will take place every day from 30 June till 2 September 2017 from early morning till late in the night. Its too hot out there these days, so we have moved indoors for you to enjoy the food that you love! A few of your favorite foodies have created a space that redefines workspace, catching up with friend or just hanging around! And then we thought lets throw in some special love for the weekend so we are bringing some of the best live music from DXB! When I stepped in early in the evening at 6pm on Saturday, the place was half-full with a lively vibe and an inviting atmosphere. I immediately fell in love with the friendly vibe of the venue. It has two levels- Ground floor has food pop-ups, dining area and stage, upper floor is for working space. They offer free wifi too. Pinzai- A must-try are their pizzas. Hooked – Their Bao buns are to die for. Pop Cafe- Liked their caramel macchiato and Karak Chai. Nouq- perfect place to try camel milk ice cream. Tandem- My go-to place for burgers. The Shebi- For delectable street food. My Mosa- For oh-so-delicious savoury and sweet samosas and sliders. Apart from the fabulous food offering, you also get to enjoy live music from homegrown talents, stand-up comedy, short theatre acts, yoga and fitness related sessions and kids activities. Hangry Hanger is a great space for people, not only to devour delicious homegrown food bites, but also a place where you can chill, work, have fun or relax with live music and other activities. Hey Meg, thank you for spreading the word about Hangry Hangar and it’s unique selection of food offering. Indeed, perfect place when it’s too hot outside. Hope you got a chance to sample the camel milk ice cream there. Thanks Fred, l loved the concept of Hangry Hanger and Nouq camel milk ice cream is one of my favorites.